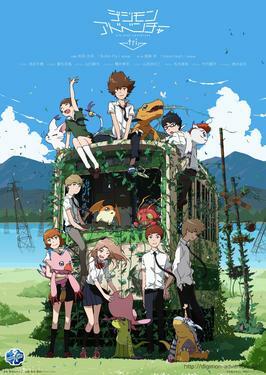 Anime Talk: Digimon Adventure tri. 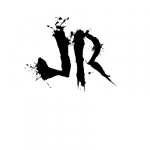 Hi guys, JR here. Yes, I know this is usually Kaldath's post. But bear with me. I have temporarily taken over the Anime Talk this week, because it fits better than doing a JReviews. And with that out of the way, let me just lay a few things out for you. Hello, my name is JR, you guys should all know me, and I am a MASSIVE (read MASSIVE) Digimon fan. Seriously, you think I'm bad with Doctor Who, you ain't seen nothing yet. With that out of the way, let's begin. Note: Just for clarification, I shorten Adventure, Adventure 2 and Adventure tri. to A1, A2 and A3 in this, just for the sake of not having to type out Adventure each time. WHY DO I HAVE TO WAIT UNTIL MARCH TO WATCH THE NEXT PART?????????? As for what I actually thought of the four episodes released so far? Well, I'm biased so… what do you want me to say? I loved, absolutely adored every single second of it! From Matt's sucky band naming to the Izzy/ Mimi shipping (ALL OF MY YES!!! ALL OF IT! IT'S SO FREAKING CUTE, I NEED MORE!). When it comes to best bits, I'll leave out the battles for a second because there were a few little bits that made these four episodes perfect for me. Firstly, the interactions between the human characters in each episode. The characters are what made Digimon in the first place, they were relatable and had chemistry that made the group as a whole feel real, like there was actually real friendship there, which is something that Adventure 2 and some of the later series missed. And they caught it straight out of the gates with this one. You had those awkward moments, those chilled out/ just hanging out moments and those heartfelt moments that glued the group together in the original series. Secondly, Tai. Boy has Tai matured since A1. And his actions and feelings don't feel out of place for him. It's not forced character development because we've seen this side of him before in A1 and we saw him mature in A2, so his character in A3 makes real sense. It might be slightly annoying if you see it from where Matt is coming from, but you can see where Tai is coming from as well and it makes sense. Thirdly, Izzy you wonderful, wonderful nerd. Only you could have an office that big and yet still have your mum buy all your clothes. And even then you build a program to basically pick you clothes for you when you do decide to pick them yourself. Plus you tech-ed up Tai's goggles, which is a major win. 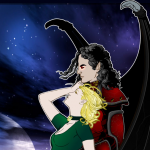 And have I mentioned how hard I am shipping Izzy and Mimi now? BECAUSE I SHIP IT SOOOOO HARD!!! Oh and Izzy's parents made an appearance, which is good, because if you remember A1, they were freakin' awesome. Fourthly, everyone has finally caught up with me on realising that Kari is bae. Appart from TK, who for some strange reason just can't seem to grasp the fact that he needs to be with Kari (this is going to be a short talk on JR's Digimon ships, ok). They hinted it so hard in A2, like they did with Matt and Sora and they're just gonna say "hey, we obviously want you to ship these two, so lets have TK have a girlfriend that you're not ever going to see (plus we've given Joe a girlfriend, lets have everyone not believe him even though Joe is a dude and he's awesome (don't worry Joe, I believe you)), but hey at least Matt doesn't have a girlfriend and Sora doesn't have a boyfriend and there's still enough ambiguity there for all you Taiora shippers to ship Tai and Sora to your hearts content" (p.s. I ship Tai with Rei Saiba from the manga but I think they might be trying to hint that the new girl has a crush on Tai or something due to her always blushing around him). Anyway, to sum this section up, T.K you're an idiot, why are you not with the bae-est character in the show. And on a side-note, damn Mimi when did you get so pretty, last time I saw you, you had pink hair with stars in it. And finally, the new girl, Meiko. Kawaii AF. And she has a cat (digimon) so she gets plus points for that. I mean, it wasn't much of a surprise that she ended up being a new digidestined, it was obvious there was something up with her, being the only new teenage character introduced and all. I'm looking forward to finding out more about her and her partner in the future episodes, because it'll be interesting to know why Alphamon, the leader of the Royal Knights, the highest level of network security in the Digital World, would be after a slightly glitchy rookie digimon. And now that we've mentioned Alphamon… $@&* YES ALPHAMON IS IN IT!!!!!!!!! *dances manically round the room* I love Alphamon. And they even had Alphamon Ouryuken. Excuse me whilst I nerd out incredibly hard here but Alphamon and Omegamon even on screen together is enough to make me squee. They're two of the most powerful Digimon there are (if you don't count fusions and alternate forms, so now Chronomon Holy Mode or Shoutmon X7 + everything). Would have liked to hear Alphamon speak, but can't have everything in one sitting. Oh and you know that Digimon in the red hood that was following Meikoomon around. SPOILERS: that's the rookie form of the final Royal Knight, Jesmon. (For those of you not in the know, the Royal Knights are a group of 13 Mega level Digimon, founded by (but not including) Imperialdramon Paladin Mode, that protect Yggdrasil, the server of the Digital World. They include Alphamon, Omegamon (being the first and last members of the team, obviously, and the most powerful), Magnamon (from Adventure 2), Dukemon/ Gallantmon (from Tamers), Dynasmon, Lordknightmon/ Crusadermon (from Frontier), Craniumon, Ulforce-Veedramon, Sleipmon, Duftmon/ Leopardmon (from Savers/ Data Squad), Examon (from Xros Wars/ Fusion), Gankoomon (not in any anime yet) and Jesmon. Ok, nerd out over). So, other stuff. I was shaking so hard during the second episode, just out of pure excitement, same with the Alphamon/ Omegamon battle. I don't even care that they shouldn't have been able to digivolve to Ultimate Level without their crests, it was toooooooo hype at that point. The government having set up some sort of department to deal with incursions from the Digital World makes sense and it makes further sense to have an agent stationed at the school that most of the digidestined go to, so like that. Also, I hope we find out how the hell the A2 digidestined got into the digital world to get defeated by Alphamon, and why they wouldn't have brought Kari and T.K along, because Yolei and Cody are next to useless in a big fight without Silphymon and Shakkoumon. But other than that, we don't really need to pay any attention to those guys really (apart from Ken, who was best character for that series, the others not so much). Presentation-wise, this anime looks gorgeous. The art style is beautiful, I love the lines and the colour, it looks unlike any of the other series and gives that feeling that, whilst these are the same characters you grew up with, they've matured and so has the series. And the intro is perfect in every way. Take note Pokemon, this is how you do a rerecorded version of your classic intro music. As a kick off to a series, I can't fault it. Obviously there are some bits that don't make sense, but they've still got time to sort all of that out. The only problem I have is, MARCH!!! WHY MAKE US WAIT THAT LONG? 5 Responses to Anime Talk: Digimon Adventure tri. I was a Digimon fan of the original series and I watched and enjoyed this series also. I have to agree with the frustration of having to wait until march to watch more. I am a Binge watcher and get annoyed when I have to wait a week for the next episode let alone several months! My partner watched this without me. It was almost grounds for divorce. Haven’t seen it yet, but I’m so sarcastically heartbroken about the Season 2 kids. I mean aside from Ken. Maybe Tai. Veemon and Wormmon had the coolest evolutions anyway. I could do without the Armadillo-Submarine. @DiCicatriz- It’s certainly grounds for a shouting at. As for the Season 2 kids, I only like Ken (out of the new guys they introduced) but the new Digimon were cool. Sure Submarimon was a stupid idea, but Armadillomon was a dude, certainly better than his human partner (who was the most annoying of the lot, even worse than Yolei’s whining and Davis’ insistence on being all of the worst bits of Tai’s personality taken a stage further with only half of the redeeming features). Still Ken, T.K, Kari and the new partner Digimon saved that season from being all that bad. But still, don’t really care that they aren’t in this season. >>I loved, absolutely adored every single second of it! Well, for my part, I loved the fact that I get to hear all the old songs that used to go with the first series. Nostalgia hit me like a truck. Also, for a small series, I’m super glad they did not show each and every digivolution because that would be a big waste of time for such a limited series. I love, love, LOVE the animation. The battles. The dark, mature theme for this series. Uuuuggghhh, March i hate you!!!! But on a side note, my shipper heart was dying to see some couple scenes between Yamato and Sora and there weren’t any. I mean, sure, Koushiro and Mimi are cute and everything but they are a bit out of blue. Whereas, Sora and Yamato? They were already a couple in 02 so there should be some more of that stuff. Toei, please give me some sorato in March! Don’t let the love triangle start! Let taiora friendship be pure!